Ford’s 3.0-liter Duratec V6 is a good engine; make no mistake. It’s based on Porsche engineering, and as such, achieves decent enough power density that it was used in the Ford Mondeo ST220, and even the Noble M400 – albeit with a couple of turbos strapped on. Yet despite its merits, the Duratec 30 is no match for the Bugatti Veyron’s quadruple-turbocharged 8.0-liter W16, in much the same way as a Cessna can’t quite measure up to an F/A-18 Hornet. So, would anyone in their right mind ever consider buying a Duratec-powered Bugatti Veyron, even if it were just about a thirtieth of the cost of the real thing? We’ll find out. 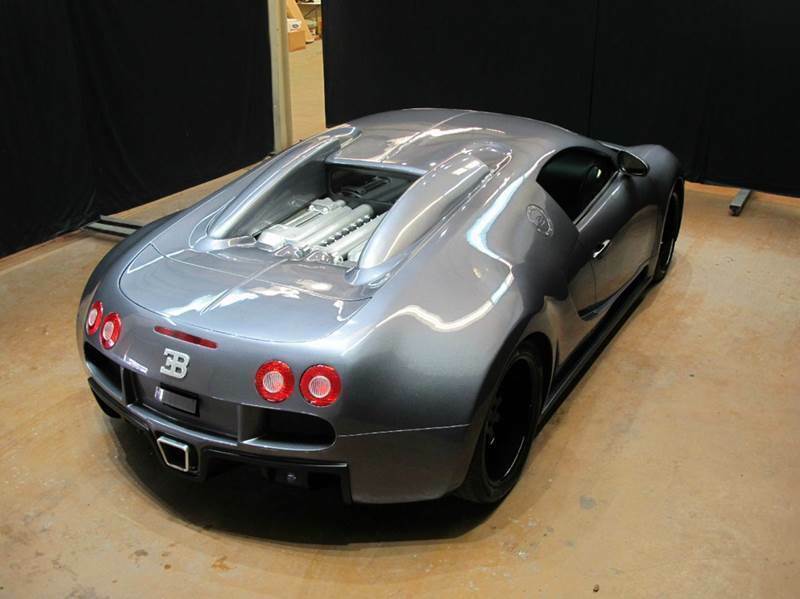 A replica Bugatti Veyron – based on a 2001 Mercury Cougar chassis, with the Duratec V6 from a Sable – is up for grabs on eBay with an ambitious price tag of $59,900. The fiberglass, Veyron-ish body is a surprisingly faithful copy of the actual Bugatti hypercar, but being an eighth-generation Mercury Cougar underneath, the engine is mounted up front, driving just those wheels. This Mercury Cougar-based Bugatti Veyron replica probably isn’t going to fool most people in-the-know, especially when it’s challenged to a drag race. But it might make for an interesting conversation piece regardless. For more images, or to put in an offer, be sure to check out the original eBay listing. La marca autorizada por la generalitat de Cataluña.